The World Naked Bike Ride returns to town this weekend -- do you dare to go bare? Naked bike rides! Magic shows! Lady arm wrestlers in hand-to-hand combat! This week's event list has something for everyone ... and by everyone, we mean everyone. Even those oh-so-particular lovers of theater who insist on only seeing shows inside bakeries. Peruse our list of six fun events -- all accessible for $12 or less. And then start making plans already! 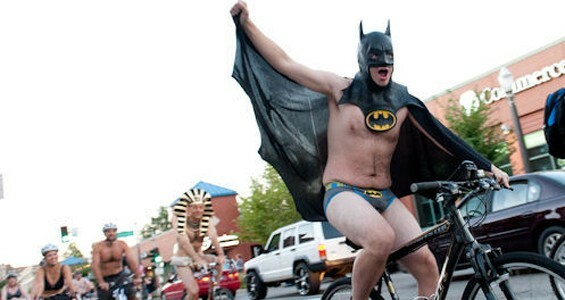 Turn the page for more fun events, including the World Naked Bike Ride! The Women of SLLAW flex their muscles Saturday night.